In this action-packed sequel to Alien, Sigourney Weaver returns as Ripley, the only survivor from mankind's first encounter with the monstrous Alien. Her account of the Alien and the fate of her crew are received with skepticism - until the mysterious disappearance of colonists on LV-426 lead her to join a team of high-tech colonial marines sent in to investigate. Personally supervised by director James Cameron, this special edition includes scenes eliminated prior to the film's 1986 release which broaden the narrative scope and enrich the emotional impact of the film. $10.052 million on 1437 screens. When I was a teenager, I used to periodically engage my father in pointless discussions about our favorite movies. (Actually, no matter the topic, pretty much all discussions with the Old Man tend to be pointless, but I digress.) I liked to mention my absolute favorite films, whereas he refused to do so; he would only say what movies he thought were the best of a particular genre. He argued that comparisons across genres entered apples and oranges territory, that although they shared the same medium, the entire spectrum of films was too broad to narrow down that tightly. I agree that it's easier to choose favorites when reduced into genres, but I still think that one can pick absolute favorites. After all, I've been attracted to a lot of women, and they've all had their strong points within their own "genres" (hair color, body shape, personality type), but I can still choose my favorites. I won't be so silly to attempt to argue that Aliens is the perfect movie, for such a thing does not exist. However, it's the closest thing to perfect I've ever seen. I must have watched Aliens at least 20 times over the last 24 years, and I can't say that I'm anywhere near being tired of it. It's amazing to realize that the creatures themselves don't actually appear until the film is almost half over, a (deliberate?) recreation of the pacing of the first film. However, while I find the first half of Alien to be somewhat slow going - the whole thing is largely expository and loses some interest when you know what will happen - the same does not happen for me when I watch the sequel. Yes, no true action occurs during the first 70 or so minutes of the movie, but the personalities of the participants keep me interested nonetheless. With the sole exception of Ripley (Sigourney Weaver), every character in Aliens is a cartoon, a fairly broad stereotype. Despite that handicap, the actors who play these roles do so with such zest and life that any generic qualities they may have possessed in the written form become completely eliminated. I doubt any film has demonstrated as perfect a cast as Aliens. To me, it's the fantastic work of these actors that largely makes Aliens as great as it is. Virtually every member of the supporting cast shines. Michael Biehn offers a surprisingly charming and understated turn as the laconic Hicks, and Lance Henriksen turns Bishop into one of the most believable "artificial persons" ever captured on film; he's not showy about it at all, but he seems convincingly different from the rest. Bill Paxton's whiny and cowardly Hudson and Jenette Goldstein's mega-butch Vasquez could and probably should have been nothing more than gross stereotypes, but the actors play the roles with such care and charisma that they're made into real people despite the script. Even the inane and miserable Paul Reiser performs admirably as the weaselly and unethical Burke; many times over the years have I wanted to declare my absolute hatred for the man, but then I think, "He was so good in Aliens" and I just can't do it! Of the main cast - that is, the characters who make it through most of the film - the weakest links are probably William Hope's inexperienced and overwhelmed Gorman and Carrie Henn's resourceful little girl Newt. Hope is fine, actually, but he just doesn't seem to display the verve apparent in the others. That's not because he lacks a showy role like Hudson or Burke; Bishop and Hicks are even more low-key than Gorman, and yet those characters stand out nicely. Ultimately, the problem is that Hope provides good work while the rest did great jobs, so his performance becomes somewhat diminished. Something of the same effect happens to Henn's work as Newt. She really did a solid job and holds her own surprisingly well among a cast of very talented adults. The problem stems from her age; she was a good child actress, but it would be difficult for even the best young performer to keep up with a group like this. She keeps up with them, something that can't be said for every child actor (Jake Lloyd, anyone?) and she probably does as well as any little girl could do in the role, but I couldn't help but feel a little underwhelmed by her presence. The same cannot be said for the movie's only non-supporting actor: Sigourney Weaver. Weaver deserves some sort of honorary Oscar for her work throughout the Alien series; she imbued her work as Ripley with an honesty and a range almost unheard of in the genre. Well, at least she received a nomination for Aliens. It may be a cliché, but in this case, the nomination may have been enough of an honor. You know how many times a lead actress - or a lead actor, for that matter - has received an Academy Award nomination for a film such as this (science fiction/action)? Once - and this was it. She should have won it, too, but Marlee Matlin got it for playing herself in Children of a Lesser God. Weaver is clearly the glue that holds the entire Alien saga together, and her strengths were never so apparent as in Aliens. This film demanded the most of her; whereas all of them asked her to react to events and to become a leader, Aliens was the only one that required such a strong emotional commitment from Weaver, since she forms such a tight bond with surrogate daughter Newt. Weaver's performance in Aliens is so strong that I continue to delight in the small touches she adds to the role. She says so much with tiny gestures, whether it's her momentary annoyance but then empathy when Newt talks back to her in one scene, or the look of disrespect she gives the Queen Alien when the latter starts to violate their standoff. This is her film to win or lose, and she emerges immensely victorious. All this focus on acting as a key role in the success of Aliens should not diminish the fantastic work done by Cameron as director. He clearly can film action scenes with the best of them, but he's never done quite as well as he did here. Aliens really only includes four significant action sequences, but each one is so brilliantly executed that the movie seems to have many more bits of that kind. I think much of the dissatisfaction from the general public about the two films that followed Aliens results from the fact that in regard to action, they had nowhere to go to down; Cameron gave the audience almost literally everything they ever could want in this film. Note that this disc presents both the theatrical cut and the extended “special edition” versions of Aliens. Which edition offers the superior rendition? In my opinion, it's a toss-up. Cameron has supervised three extended versions of his films: Aliens was first in December 1991, followed by The Abyss in March 1993, and Terminator 2 in November 1993. Only The Abyss absolutely benefited from its new cut; the extra 30 minutes completed altered the entire end of the film. T2 and Aliens receive more subtle changes. Ironically, in the case of The Abyss, Cameron removed action from the final cut and kept character development; for Aliens, he essentially did the reverse. I like the majority of the additions to Aliens. We learn bits and pieces that add nuance to the characters, and Ripley becomes an ever more well developed persona. The only parts I think should have stayed out of the movie were some early scenes in the colony on LV-426. Whereas in the original version, we go straight from hearing that there is a colony there to the early part of a mission to check out why communication from that group has ceased, the extended cut adds significant scenes that detail what happened to the colonists. These bits are essentially redundant - they don't tell us anything we won't learn soon enough - and they substantially reduce the suspense and mystery of the story. These scenes are so unnecessary - and damaging, in my opinion - that I'm not sure why Cameron even filmed them, much less reinserted them into the movie. Perhaps he thought that we would feel more empathy toward the colonists and toward Newt if we saw how they lived prior to the alien attack. He was wrong. This cut didn't alter my feelings about the colonists one iota, mainly because the movie isn't about them; their fate is nothing more than a plot device to get Ripley and the Marines onto the planet. I like having the scenes for historical value, but to be truthful, I usually skip past that chapter when I watch the special edition cut. Ultimately, both versions work well, but I prefer the theatrical version. Largely that’s because I don’t like the shots on the colony, but the other sequences slow down the movie somewhat as well. The theatrical cut seems tighter and better paced. Some of the additional footage helps flesh out the story a little better, but the theatrical cut packs the strongest punch. Aliens appears in an aspect ratio of 1.85:1 on this Blu-ray Disc. Always the least attractive of the four Alien flicks, Aliens got a good scrubbing here – maybe a little too good, in fact. 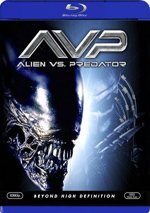 Prior to the release of this set, director James Cameron provide comments that made fans worry Aliens had undergone the same sort of extreme digital noise reduction (DNR) that had recently marred the Blu-ray for Predator. I’m happy to report that Aliens never offered the same kind of inappropriately bright ‘n’ shiny visuals we saw during Predator, but I did sense that it sometimes looked spiffier than it should. After all, Aliens isn’t Avatar. It was meant to look like a gritty war movie, and at times, it still did on Blu-ray. The transfer definitely didn’t erase all signs of grain, as we still got a fair amount of it throughout the film. But more than a few scenes looked less grainy than expected, and they became a bit of a distraction. For instance, some of the shots during the Marines’ first exploration of LV-426 just looked a little too clean. When contrasted against the grittier shots, a disconnect occurred, and the various sequences occasionally didn’t feel like they were part of the same design template. I don’t want to overstate these issues, though, as I thought most of the film still looked fine. Again, this wasn’t a Predator-style debacle. Nonetheless, I’d prefer an Aliens that maintained the consistent sense of murk and menace we’d seen previously; this one looked good, but I wouldn’t liked more of the gritty documentary look it used to boast. Sharpness largely appeared positive. Some shots came across as slightly soft at times, but those examples occurred infrequently. Most of the movie showed a slight dullness typical of film stocks of the era, but the image remained acceptably distinct and accurate most of the time. Jagged edges and moiré effects provided no concerns, and I saw no signs of edge enhancement. Source flaws also failed to appear. Due to the film stock and the production design, colors seemed pretty bland during Aliens. However, that’s not really a complaint, as I don’t expect vivid hues from this – or any of the series, for that matter. Tones seemed somewhat flat, but they generally came across as reasonably clear and distinct given the nature of the film. Red lighting looked strong, as those elements were clear and not overly runny or heavy. Black levels could be a little inky, but they usually appeared fairly deep and rich, and shadow seemed appropriately opaque but not excessively thick. I would’ve preferred a grittier look, but I still though this was a pretty good presentation. How did the Blu-ray compare to the 2003 DVD release? Despite my preference for the early release’s grainier look, I thought the Blu-ray was better as a whole. It simply offered better overall clarity, as even after umpteen viewings over the last 24 years, I noticed new details here. By the way, a look at my review of the 2003 may present me as fickle. For that DVD, I complained that the movie looked too grainy, while I thought the Blu-ray wasn’t grainy enough. I suspect I should’ve been careful what I wished for, as I felt the less grainy Aliens was less satisfying. The DTS-HD MA 5.1 soundtrack of Aliens barely showed its age, as it sounded very good for its era. The soundfield maintained a pretty strong forward bias. Within the front, the movie boasted reasonably vivid imagery. Music showed clear stereo separation and imaging, while effects seemed appropriately placed, and they blended together neatly. The surrounds kicked in with general reinforcement much of the time, but they added good pop to many of the action scenes; they played an acceptably active role in the proceedings. Audio quality was relatively good. Dialogue varied from natural and distinct to somewhat thick and muddy, but most of the speech seemed positive, and I detected very few problems due to edginess or intelligibility. Effects also came across as pretty crisp and vivid, and they showed reasonable bass response that was fairly tight and bold. The score came across as clean and vivid for the most part, and those elements also demonstrated nice dynamics. I noticed very little distortion in this firm package. Ultimately, I really liked this mix and thought it held up well over the years. The Blu-ray’s audio compared favorably with the mix from the 2003 DVD, and it probably worked a little better. I thought the Blu-ray and the DVD were a lot alike, but the Blu-ray boasted a bit more heft and clarity. It wasn’t a huge difference, but the Blu-ray gave us the preferred soundtrack. 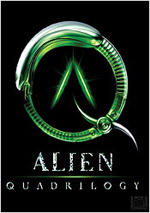 Virtually all of the 2003 package’s extras repeat here – or elsewhere in the 6-disc “Alien Anthology” set, where the last two discs include tons of pieces. Because there are so many components on the fifth and sixth platters, I didn’t think it was fair to assign a “bonus features” grade for this disc on its own; I’ll rate the whole shebang when I get to the final two discs. First of all, we can watch either the 1986 theatrical version of Aliens or the 1991 Special Edition Cut. I already discussed this in the body of the review, but I figured I should mention it as a supplement too. The disc uses seamless branching to cut between them. In a nice touch, if you watch the alternate version, you’ll find a deleted footage marker that notes all the originally excised material. If you select the “Special Edition” cut, the movie opens with a James Cameron introduction. In this 32-second message, the director discusses his preference for the longer version and gives us a quick note or two about it. It’s not terribly interesting, but it helps set the stage. Next we find an audio commentary with director James Cameron, producer Gale Ann Hurd, alien effects creator Stan Winston, visual effects supervisors Robert and Dennis Skotak, miniature effects supervisor Pat McClung, and actors Michael Biehn, Bill Paxton, Lance Henriksen, Jenette Goldstein, Carrie Henn and Christopher Henn. A complex compilation of sources, only Cameron sits alone for his discussion. Hurd and Winston unite for their chat, while the Henn children are together for their moments. The Skotek brothers join up with McClung, and in a very happy choice, the four remaining actors – Biehn, Paxton, Henriksen, and Goldstein – sit together for their examination of the film. Although I enjoyed the 2003 commentary on the Alien Blu-ray, it didn’t quite live up to expectations. I’m pleased to report that this Aliens track gave me what I anticipated and more than that. Not surprisingly, Cameron dominates the piece, and he really delivers the goods. The director touches on a variety of fascinating topics. He gets into how he arrived on the project, the development of the script and allusions to real world events, dealing with a visual universe created by someone else, his choice of aspect ratio, character and situation backstory, choosing how to pare down the film for its original theatrical release, and tons more. Cameron fills his time with consistently interesting notes that give us a very informative experience. As for the others, they certainly occupy their moments well. It’s probably the most fun to hear the four actors who sit together. They exhibit a nice sense of camaraderie and toss out a lot of entertaining anecdotes. They reflect on their experiences and give us a good sense of working on the film. They even take a few good-natured jabs at their control-freak director in this light and loose chat. The Henn siblings only pop up occasionally. Christopher offers only about five words, but given the very small nature of his role, that doesn’t come as a surprise. Carrie gives us a few nice remarks such as the movie line her friends quoted for years – much to her annoyance. While the Skoteks and McClurg mostly focus on effects, they do so in a clear manner and help us get a good feel for the film’s technical elements. Hurd and Winston also pair nicely as they go over a mix of topics. They cover production concerns as well as the expected notes about Winston’s adaptation of HR Giger’s original alien designs. Of particular interest are Hurd’s notes about all the tensions between her and Cameron and the British crew; apparently the Limeys didn’t give them much respect. In the end, I feel exceedingly pleased with this outstanding commentary, as it fleshes out Aliens in a highly educational and enjoyable manner. If you select the theatrical edition of Aliens, you’ll get access to deleted scenes. Note that these simply show the alternate sequences from the special edition cut; nothing different than what we find in that version appears in this section. Also alongside the theatrical version, two Isolated Score options appear. You can examine the “Final Theatrical Isolated Score” or the “Composer’s Original Isolated Score”. Both come with Dolby Digital 5.1 audio and are nice options for fans of movie music. New to the Blu-ray, we find the MU-TH-UR Interactive Mode. This allows you to flip among the disc’s four audio features, save “data points” to reference when you watch Discs Five and Six, and view a trivia track. Called the “Weyland-Yutani Datastream”, this offers info about the flick’s origins, development and creation. We find much of this material elsewhere as well, but the “Datastream” provides a good overview. I’m not wild about the format, though. Most “trivia tracks” are pretty unobtrusive, so you can follow them and watch the movie at the same time. This become more awkward here because of the amount of territory “MU-TH-UR” fills. Little branches pop up all over the screen, so we get visual distractions. This means you can’t easily check out the flick and the Datastream at the same time. The Datastream also goes dead more often than I’d like. We get more than a few extended pauses, and a lot of the time, the same text remains on screen for an extended period. It’s still an interesting extra, but it doesn’t boast great execution. For some time now, I’ve regarded Aliens as my favorite film. A virtually flawless action flick, it provides a tremendous thrill ride bolstered by unusually strong story telling and acting. The Blu-ray features generally positive picture and sound plus some interesting supplements highlighted by a terrific commentary. Despite some misgivings about the transfer, I feel pretty happy with this Aliens. 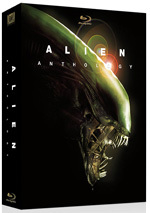 Note that as of November 2010, you can only purchase the Blu-ray of Aliens as part of “The Alien Anthology”. This includes Alien, its three sequels and two discs of bonus materials. I’m sure the films will be available individually at some point, but that date is currently unknown.